Making the buying and selling of real estate as cost effective as possible while maintaining the highest level of service. Provide accurate and up-to-date information, skilled analysis and sound real estate advice. I continually explore new ideas and technology, to make the selling and buying of real estate faster, less costly, and easier. Kashif Siddiqui is an accomplished and registered real estate broker who conveys a tactical, yet pleasant approach to the Residential Real Estate process. Boasting 15 years of broad experience in the real estate industry and deep roots in Toronto Ontario, Kashif thrives in steering the complicated terrain of condos, investment acquisition, property supervision, to mention a few. For several years, he has been involved in residential estate sale, making sales worth millions of dollars. No wonder he has consistently ranked among the top real estate agents in the Greater Toronto Area. Career award from Remax Ontario Atlantic - REMAX HALL OF FAME (2018). 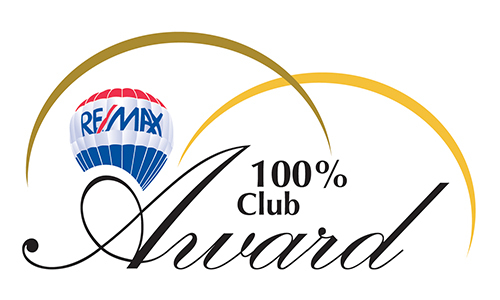 Prestigious Executive Club Award, 100% Club Award and Platinum Club Award from Re/max Ontario. Award of Distinction in recognition of exceptional sales achievements at Re/max Performance Realty Inc. Brokerage. Designated holder of SRS (Sellers Representative Specialist) from the council of Real Estate Brokers and Managers and ABR (Accredited Buyer's Representative) from the Real Estate buyers Council Inc., an affiliate of the National Association of Realtors. He is also a member of Canadian Real Estate Association, Ontario Real Estate Association and Toronto Real Estate Board. His specialty is analyzing investment properties and representing buyers and sellers in the purchase and sale of these properties. Kashif’s reputation for fair and aggressive representation of his clients has earned him the respect and following of many of the established Real Estate investors in Ontario. Kashif's success in brokerage has been attributed to his responsiveness, firm negotiation, un-compromised integrity, diverse local market knowledge, superior marketing strategies and exceptional customer service commitment. Simply put, Kashif and his team give their clients the leading edge in the current marketplace and always ensure their client’s goal are met, assisting in the entire buying and selling process. TORONTO REAL ESTATE BOARD - CANADIAN REAL ESTATE ASSOCIATION - REAL ESTATE COUNCIL OF ONTARIO - ONTARIO REAL ESTATE ASSOCIATION - RE/MAX INTEGRA ONTARIO ATLANTIC INC.